It’s been six years since I flew to Honduras with grand plans to backpack for six weeks. It took me one full day of interesting travel to get to my first overnight location. And then it took me less than three days to meet a handsome stranger on the beach. Within eight days of knowing him, we had moved in together and adopted a dog off the streets. I guess it was only fitting that it took me six months to write about him here. The numbers paint an interesting picture. I used to feel jittery telling tourists these details, seeing their reactions of awe mixed with slight judgment. There were more than a few shocked looks and even a few disapproving tones in reaction to our speedy courtship. But there have always been oh so many more sighs of hope and smiles of joy. Six weeks of unsuccessful backpacking so quickly transformed into three years of beachfront living with a man whose path crossed my own at the perfect time and place. Six years later, we have shared many more homes in many more countries and shared more important moments beyond that meeting on the beach. I can mark so many milestones throughout each year, but this anniversary of when we met still tops them all. That week changed the entire course of my life, much more so than our wedding day did. Yes, we chose to marry. But, no, that did not change us at all. We committed to each other in that first week by sharing a leap of faith so great it continues to carry us on its wings. Six years. Seven countries we have called home. Nines homes we have given as current addresses. Countless flights to visit families and friends and so many precious memories of them visiting us in each of those places that now hold pieces of our hearts. That number was fixated in my head that frosty morning in Boston. Six weeks until I would return to this cold place to spend warm holidays with my beloved family. Within that number, I hoped to find somewhere else I could call home. I thought that would be in Guatemala…but I never quite made it that far. Instead, I found home in my heart’s reflection on that beach that day. And we made ourselves a new home when we created our new family, choosing to bring Lina into our lives and letting her steal our hearts so easily. I found home when I left home, which can be common among expats. I had left many times before, heading to college and then studying abroad for a year, and finally moving to DC to try to find a job during a recession. I called each of those places in between home, too. But getting onto that flight that cold November morning, I felt like I was actually choosing something for myself for the first time in my entire life. I went to school, went to college, chose a major, and found a job, I did all the things in the order in which they were meant to be done. But those six weeks were a gift I gave myself. It was the first choice I made that had no outlined course of action and no real end goal. Sure, I hoped I would find somewhere to call home. But I knew I would return for the holidays and thought I could then plan another trip to escape that winter once more. I thought I could just keep bouncing and finding work along the way. And, it turns out, all of that happened and more. We have bounced around together, finding work as we go, enjoying the privileges we have and understanding more each day about how incredibly good this life is to us. Yes, we have had heartbreak. Yes, we have had setbacks. Nothing and nowhere and no one is perfect. 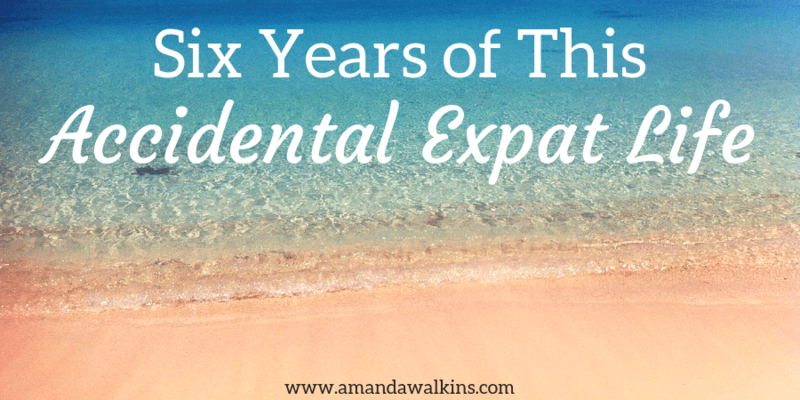 Six years, seven countries, countless adventures. These moments are fleeting and none are promised, so we have tried to grab hold of each and every one as they fly by. I know I won’t look back on my 20s and say that I wish I took advantage of the time and energy and liberty I had when they were all available in spades. I did. They say if you want to hear a god laugh, tell her your plans. Well, I think it’s fair to say that Mother Nature was giggling with each wave she lapped ashore that day on West Bay Beach. And I’m sure she’s laughing from the mountains of Asturias now as we spend our last few days gazing upon the shifting sunlight hitting craggy peaks and grassy hillsides all around us. And I know she’ll be chuckling still when we return to Scotland and she dances raindrops on our faces. I, for one, adore her sense of humor and I can only hope she keeps laughing with us from many more beautiful places around the world as we continue this wild adventure. Whatever ride you’re on in this life, I hope it’s an exhilarating one that makes your heart leap with joy. I hope it challenges your mind and lifts your eyes upward every single day. Whatever your idea of a well-lived life, I hope you’re living it with every ounce of love you have and every moment of breath you are lucky enough to take. Six years have taught me more than I could have predicted, so I’ll not dare to look ahead just yet…I’m enjoying this moment far too much. We also housesit and petsit our way around the world. We spent the whole summer housesitting in London and are wrapping up three months in Spain, on top of plenty of other sits around Europe and the U.S.